One of the key components to building a happy client base is proper management of expectations. Some people think of this as "manipulation" of some kind. But it's not that at all. Every successful company has standard operating procedures. These guide our activities and keep us profitable and moving in the right direction. Where two organizations interact (e.g., you and your client), both sides have a reasonable expectation of what that interaction will look like. After all, when you receive service, one of the first questions is "When can I expect that to be done?" Part of the appeal of a 30 minute oil change is that you know the time frame without asking. There are lots of variables here. How do you communicate with clients (PSA portal, voice mail, email, telephone)? How do clients try to communicate with you (Facebook, Twitter, LinkedIn, web form, fax)? Then there's the response times as defined in your service agreement, as defined in your PSA system, and as you've "implied" via your personal communication. On top of all that you have unspoken assumptions . . . on both your side and the client's. Let's start there. The unspoken assumptions of the client and the service provider are the biggest cause of problems. 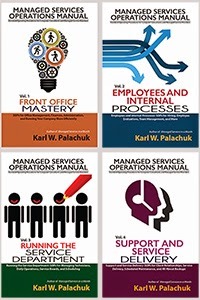 Most of the time this is YOUR fault because 1) You didn't set reasonable expectations; 2) You assume the client wants everything right now; and 3) In any service relationship, the person receiving the money in exchange for service is responsible for managing that relationship. How do you set reasonable expectations? Well, you can start with a one-sheet handout that describes your priority system (see SOP Friday: Setting Job Priorities) along with a one-paragraph summary of your written response times from your service agreement. You also set reasonable expectations every time you communicate with a client. You can mention your after hours policy ("We don't work evenings and weekends."). When a service request comes in you can try to schedule the work for 1-2 days out. When you answer the phone and enter a new service request, you need to give the client an idea of when you'll be able to work on their issue. Note: It does NOT have to be immediately, within 15 minutes, or within an hour. It can be "this afternoon," tomorrow, or next week. You need a service agreement. 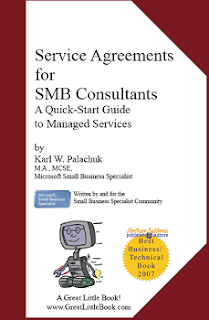 If you don't have one, start here: Service Agreements for SMB Consultants. In your Service Agreement, you should state two or three kinds of response times. And don't just let them sit on the paper: Explain them to your clients. You don't want them to think all their problems will be fixed in 60 minutes, no matter what the issue is. This means that you communicate with the client and let them know that you've received their request. This is, strictly speaking, your "Response Time." You have responded and now you can give them a reasonable expectation of when you can start working on the request. It is very reasonable to promise to acknowledge all service requests within one hour. Depending on your processes, this might be by email, voicemail, or telephone. I don't recommend merely clicking "acknowledged" in your PSA tool. Your client probably doesn't hang out all day on your portal. This is what most clients think of as response time, until you educate them. This is when the status moved from "Acknowledged" or "Schedule This" to "In Progress." You will have different times for different priorities. You might have 1-2 hours for a Priority One ticket; 4 hours for a Priority Two; 24 business hours for P3, and 1 business week for a P4. You might not have guaranteed times for working on P3 and P4 tickets as you'll want to schedule those anyway. Clients only care about fast response to urgent matters (P1/P2). They are often concerned that P3 and P4 tickets won't ever be resolved, so you need to make sure that's not the case. But you may not need to have guaranteed response. In order for these response times to work, clients must use your system. See How Do Service Requests Get Into Your System?. That means, the client needs to call your service phone number. Or enter a ticket in the portal. Or sent an email that's turned into a service request by Email2AT or a similar program. When someone checks voice mail or gets a request in person, they should put in a ticket. But the clock starts when the ticket is entered, NOT when the client goes around your process. Once your team knows there's a problem, you need to enter a ticket and begin working your process. But it is unreasonable for a client to go outside your process and then hold you responsible for your promises. What you tell your employees is a different story . . . 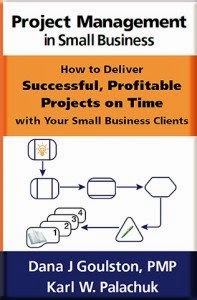 It should be your goals to Acknowledge all service requests within one business hour. And if you have an office manager or someone who stays at the office most of the time, they should be able to acknowledge tickets within 15-30 minutes. Technicians are NOT expected to check voice mails all day long, or to ever receive a service request by cell phone or voice mail. Technicians are NOT expected to hang out on email all day, or ever receive a service request to their email address. Technicians check email three times a day. Service delivery (actually starting to work on an issue) depends on the priority. You need to make sure you have a chart that lists your response times. In my opinion, it's okay to set internal goals that are much stricter than the promises in your service agreement. I think one hour to begin work on a P1, two hours for P2, and eight business hours for P3 is very manageable and reasonable. Quite simply, your response time should be As Soon As Possible. - Request directions as to how to proceed. After hours work is always billable, so it must be approved. - If you reach a voice mail system, leave a message stating that there is a problem and ask how they wish to proceed. Leave the main service phone number/extension. - Continue calling through the list until you reach someone or exhaust the list. - If after hours work is requested, inform or remind the client of our after hours rate and then find out when to proceed. - If after hours work is requested, inform the client that there must be someone from the client's company available to get our technician in and out of the building and office as needed. Note: The client must have a representative with full access present at all times in the office while our technician is on site. Never forget that you are running a service business. We get into this business because we want to provide service. But if you don't stay profitable, even during an emergency, then you won't be around to provide service in the future.